​For centuries, artists have been expressing - through their art - the idea that depression helps you think carefully and soberly about the problems of life. Clinicians and scientists should pay attention to what they have to say. Depression is widely considered to be a mental disorder in which something in the brain is broken or not working properly. However, there is also concern among many psychiatrists, psychologists, and researchers that for the vast majority of people who meet the current diagnostic criteria for depressive disorder, nothing is actually going wrong in their brains. Some psychiatrists justify liberal diagnostic criteria by saying it is important that we do not miss anyone who needs help. This may seem humane, but the logic is woefully misguided. It means that people without a brain disorder are being treated as if they do and they are receiving brain-altering medications for it. This is like your physician prescribing you insulin therapy when you don’t actually have diabetes. While it is important that we not miss those with real mental disorders, it is equally important that we do this accurately. It is illogical and medically unethical to treat people as if they have a mental disorder when they don’t. To accurately distinguish depressive disorder from the normal, adaptive state, we must learn why we have the capacity to become depressed. Normal depression is an emotion - like fear, anger, joy, jealousy, love, or disgust. Fear is useful in helping us avoid threats, such as predators and cliffs. Anger helps us respond to those who have wronged us. Yet unlike these other emotions, we do not have a good understanding of how depression helps us in our lives. One clue about the usefulness of depression comes from the work of artists. For instance, the enigmatic figure in Albrecht Durer’s Melencolia I - surrounded by the tools of science, and bearing a sober, reflective countenance - is not easily interpretable through the lens of the modern narrative. Neither is Shakespeare’s Hamlet who, out of his melancholic misery, devises a clever trap to test whether his uncle Claudius is guilty of having murdered Hamlet’s father. "Melencolia I" by Albrecht Durer. 1514. Image in the public domain. ​Some of our greatest poets have been more explicit about the usefulness of depressive thinking. In The Dream, Lord Byron argues that depression provides clarity and wisdom about the problems of life. This view continues to maintain a foothold among artists in modern times. 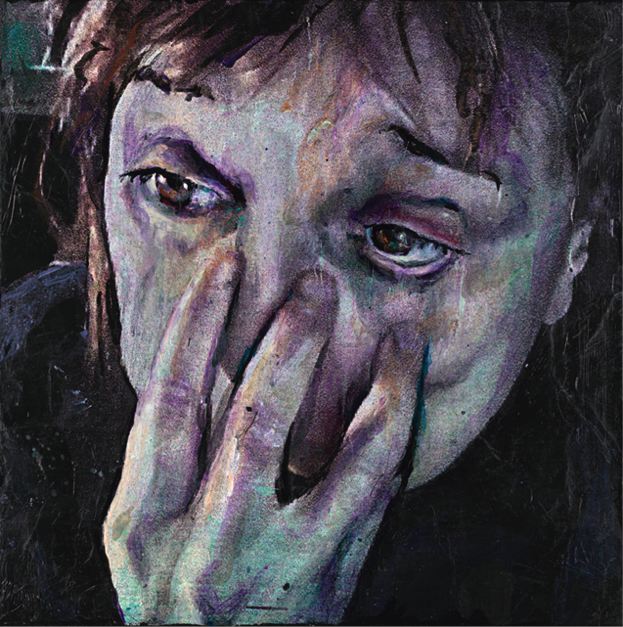 This self-portrait by Rosemary Feit Covey seems to be a visual embodiment of the phrase, “In a dark time, the eye begins to see,” which was written by Theodore Roethke in 1960. "Self-portrait" by Rosemary Feit Covey. Image courtesy of the aritst. ​Science is finally beginning to catch up with artists. One of the great lessons of modern psychology is that thinking never occurs in an emotional vacuum. The idea that emotion interferes with reason - embodied in the hyperrational, unemotional fictional characters of Sherlock Holmes and Spock - is a myth. Emotions are crucial to proper thinking. Some of the greatest intellectuals in history were profoundly sensitive and emotional people. For instance, Charles Darwin was depressed as he was trying to figure out the process by which species evolved, and Albert Einstein was depressed when he was struggling with a mathematical proof for general relativity. Yet, Darwin and Einstein successfully solved their scientific questions. Was this just a coincidence or did their depression help them gain insight into their inquiries ? 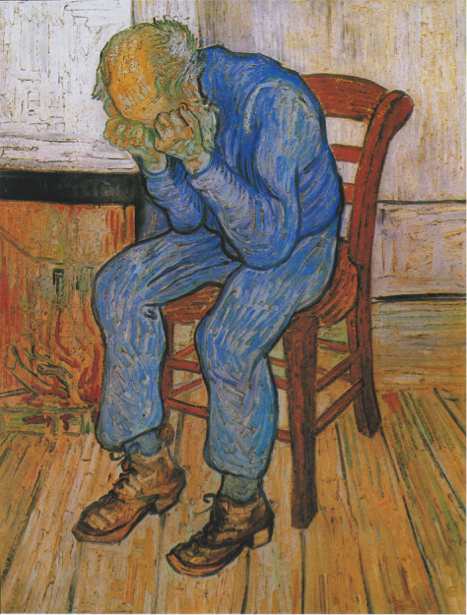 Research accumulated over the last several decades, though largely ignored by clinicians, indicates that artists' intuitions about depression were correct. Sadness - the emotional symptom of depression - helps people think carefully by promoting logical, analytical thinking. In his letters to his brother Theo, Vincent Van Gogh reported that his artistic failures often caused him melancholia, but he learned from his failures, and his work improved with every melancholic episode. "I know the soul’s struggle of two people: Am I a painter or not? Of Rappard [a friend of Van Gogh’s] and of myself—a struggle, hard sometimes, a struggle which accurately marks the difference between us and certain other people who take things less seriously; as for us, we feel wretched at times; but each bit of melancholy brings a little light, a little progress..."
Psychiatry has, somewhat obtusely, ignored this message about depression that artists have been conveying for centuries. According to the disorder narrative that most psychiatrists adopt, the genetic factors that make one capable of rational or creative thinking also increase one’s risk for depression, but depression does not itself help one think rationally or creatively. Rather, most psychiatrists believe that depression is exclusively a disorder that promotes a dark cycle of self-destructive thinking. The problem with this narrative is that it is extremely difficult to see how beautiful and dramatic works of art or powerful displays of logic could possibly come out of a disordered brain. It assumes that disordered brains do not work well - ​they work poorly. Clinicians often consider suicidal thinking to be irrational and evidence of depressive disorder. However, artists have long suggested that suicidal thinking is rational. For instance, The Two Voices is a poem by Alfred Lord Tennyson (1844) in which two inner voices argue back and forth about the rationality of suicide. The poem is chilling precisely because it is so difficult to find a compelling rational answer to the voice urging suicide. This voice argues most people’s lives are of little value, and everyone is eventually forgotten with time. Since many clinicians consider suicidal thinking to be irrational, they can find themselves in the position of trying to use rational argument to correct the thinking of the suicidal patient. But the problem is not that depressed, suicidal people are irrational. Rather, the problem is that, despite centuries of debate among philosophers, no one has been able to prove that suicide is irrational. For instance, many of us would agree that suicide for people with painful, terminal illnesses is understandable, which is why physician-assisted suicide is allowed in Canada and in several of the United States. Indeed, depressed people often have rational reasons for believing that they are a burden to their families, that their future is dim or hopeless, or that other people would be better off if they were dead. Like the voice in Tennyson’s poem, the person who adamantly wants to commit suicide can find plenty of rational reasons for doing so. Clinicians who consider such a person an irrational thinker in need of correction can find themselves facing a formidable debating opponent. These ideas are difficult to discuss because many people are uncomfortable with the dark thoughts that depressed people have. It is easier to pretend that the depressed person is diseased and delusional rather than rational. But we desperately need to discuss these things because we will not be able to treat depression effectively if we do not accurately understand it. Scientists tend to focus on communicating through reason and evidence, whereas artists focus more on communicating through emotion. But the fact that emotion and thought are intimately entwined makes these two approaches complementary rather than oppositional. Some people resonate more with one style of communicating than the other, so both styles can be effectively employed. If artists can mobilize, they could help change the flawed disorder narrative that permeates our society. This will require pushing art in new directions. 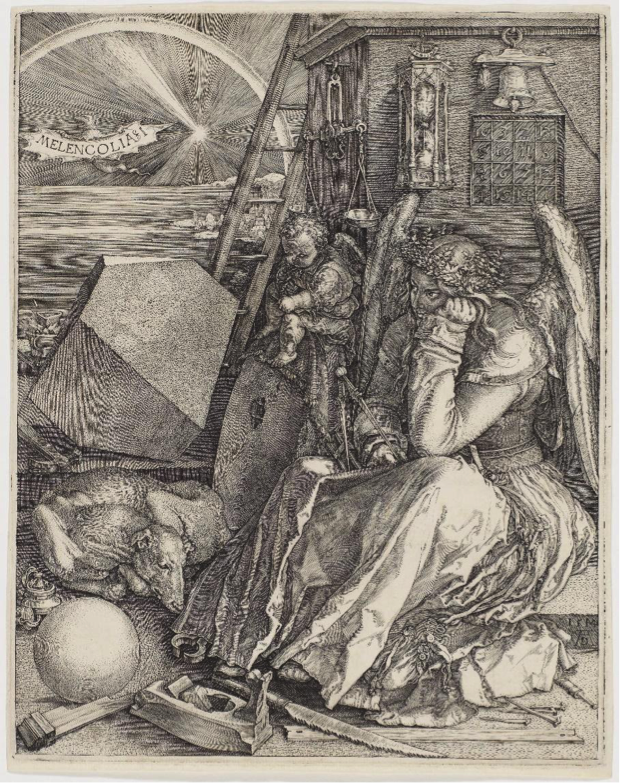 Durer’s engraving has been influential, and it adequately represents the idea that depression promotes careful, rational thinking. Nevertheless, it lacks passion. It does little to convey the fact that depression is a painful emotional state that can lead people down self-destructive pathways. Conversely, Van Gogh’s At Eternity’s Gate adequately conveys the dark misery of depression, but it does not convey the insight that depressed people can get from sober, reflective introspection. To do justice to the paradoxical reality of depression, both of these voices need to be represented simultaneously. Rosemary Feit Covey’s self-portrait effectively captures these two voices. It is haunting and compelling; the hopeless face is seeing and facing truths that the rest of us cannot see or willfully avoid. We encourage other artists to explore new ways of expressing these two themes — in poetry, painting, and other art forms. "Sorrowing Old Man (At Eternity's Gate)" by Vincent Van Gogh. 1890. Image in the public domain. ​Paul Andrews is Associate Professor of Evolutionary Psychology in the Department of Psychology, Neuroscience & Behaviour at McMaster University. 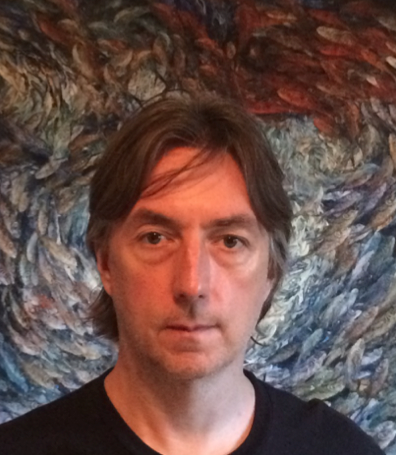 His research focuses on the evolution of depression, especially as an evolved emotional response for understanding and solving complex problems. 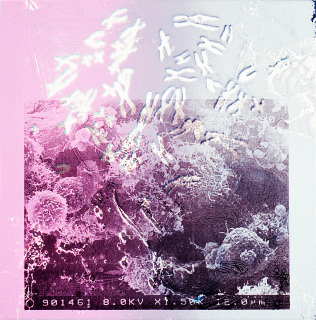 Dr. Andrews is also concerned with the evolution of the serotonin system and how antidepressants interact with evolved physiological mechanisms in the body. His research has been featured in The New York Times Sunday Magazine and Scientific American Mind. Rosemary Feit Covey was born in Johannesburg, South Africa. Her work is housed in over forty major museum and library collections worldwide, including Yale University Art Gallery, the New York Public Library Print Collection, the National Museum of American History, Harvard University, and the Papyrus Institute in Cairo, Egypt. In 2012 five-hundred of her prints were acquired for the permanent collection of Georgetown University Library, Special Collections. She is the recipient of a Rockefeller Foundation Fellowship (Bellagio Italy), an Alpha Delta Kappa Foundation National Fine Art Award and a fellowship to Georgetown University Medical Center as the 2007-2008 Artist-in-Residence. Her solo museum exhibitions include the Butler Museum of American Art, the Delaware Center for Contemporary Arts and the International Museum of Surgical Science in Chicago. In 2014, a retrospective of her prints, paintings and installation work was held at Johns Hopkins University’s Evergreen Museum. 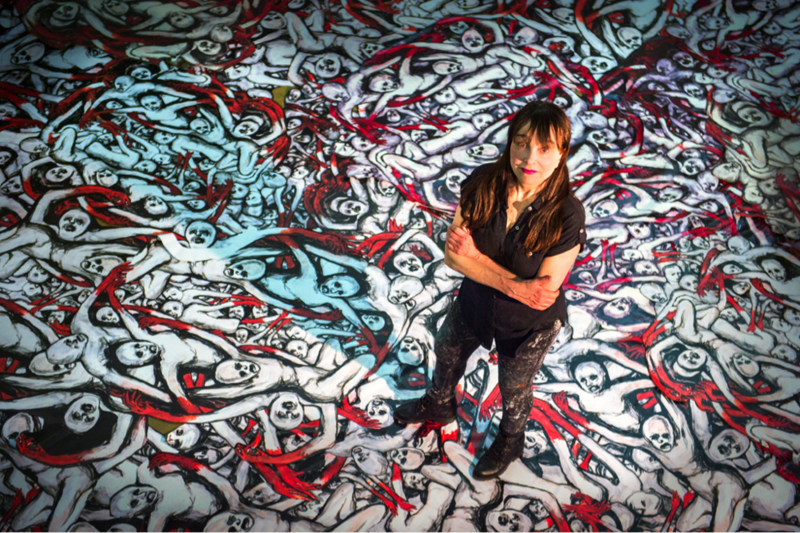 Articles on her work have been featured in magazines including Art in America, Juxtapoz, and American Artist Magazine. 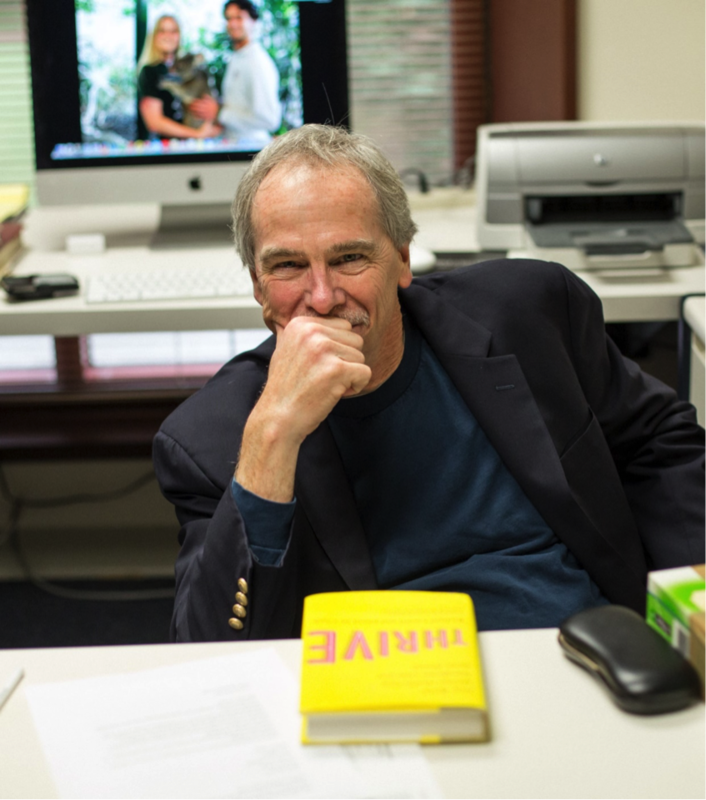 ​​Steven Hollon is the Gertrude Conaway Vanderbilt Professor of Psychology at Vanderbilt University. His primary interest lies in the etiology and treatment of depression in adults. His work extends from basic psychopathology to prevention and treatment. He is particularly interested in the relative contribution of cognitive and biological processes to depression, and how the relative efficacies of psychosocial versus pharmacological interventions compare. A current interest is the prevention of depression, both with respect to its initial onset and subsequent recurrence following successful treatment.